Thank you to everyone for coming out to our SDC Give it a Go dressage show. This Gold and Bronze Equine Canada show saw over thirty competitors competing from walk/trot up to the FEI levels. Results can be seen on our competitions page. 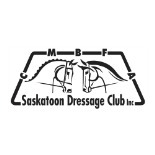 2016 will see SDC hosting both the Give it a Go and the Saskatchewan Provincials. This entry was posted on July 10, 2015 by KRaven in News.